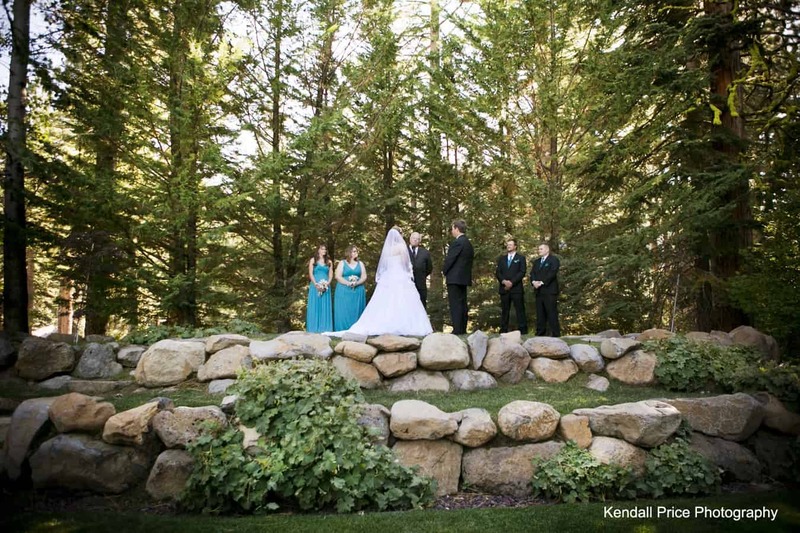 A stunning forested setting, award-winning catering, lodging onsite, and an experienced events staff will ensure that your wedding day at Granlibakken Tahoe is memorable and elegant. Granlibakken Tahoe’s location in a 74 acre wooded valley just one mile from Tahoe City and the shores of Lake Tahoe is convenient to get to year-round, and is breathtaking in all four seasons. Granlibakken Tahoe offers lodging and event space onsite that can accommodate groups of up to 350 people. Lodging options range from standard bedrooms to three-bedroom townhouses-perfect for groups of all sizes. Indoor and outdoor venues-from the spacious Mountain Ballroom to the tree-lined Big Pine Lawn offer spaces that complement Granlibakken’s forest setting. Catering and event services are offered onsite by an award-winning staff. Granlibakken’s wedding coordinator will work with you to ensure that all details of your special day are executed flawlessly. Granlibakken’s Executive Chef and kitchen staff prepare delicious dishes in a variety of styles, and the beverage list with options for signature beverages will guarantee a good time had by all. Make the weekend memorable—Granlibakken offers a variety of activities onsite and nearby, from the Treetop Adventure Park ropes course to an onsite ski and sled hill. Hiking and biking trails abound around the property, as well as river-rafting, kayaking, swimming, and sightseeing. The newly renovated Soul Shelter yoga and meditation space is a perfect place to hold a group yoga class, or to take some time to rejuvenate and relax in the heart of Granlibakken’s property. Get married under the snowy pines with Granlibakken Tahoe’s Winter Wedding Special. Get 50% off venue fees for weddings held between November and April each year. 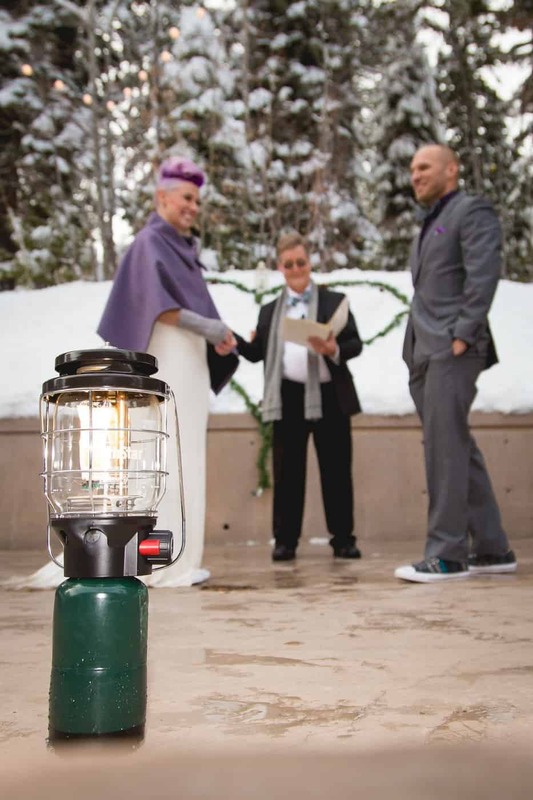 Granlibakken’s wooded mountain setting and onsite activities will make your winter wedding unforgettable. Airport transportation to and from the Reno airport is available, and Granlibakken Tahoe is just a few hours’ drive from San Francisco and Sacramento—convenient for guests arriving from near and far. 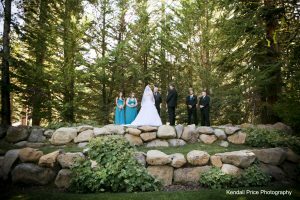 Learn more about weddings at Granlibakken Tahoe. Contact Granlibakken Tahoe's Special Events Team to inquire about pricing and availability.